HAPPY 85TH ANNIVERSARY MR. JACK HEUER ! Born on the 17th of Novembre 1932, Jack Heuer will celebrate his 85 years old. For this very special occasion, TAG HEUER is offering a new reissue designed by Jack Heuer himself : The AUTAVIA JACK HEUER ! The timepiece is limited to 1’932 pieces and carries all the codes of the original. This reissue is definitely modern with its calibre Heuer 02! Part of the new series of calibres under M.Biver supervision, you’ll appreciate a nice and discrete date aperture at 6 o’clock & 80 hours of power reserve. You’ll also find the signature of Jack Heuer on the back to mark the occasion. 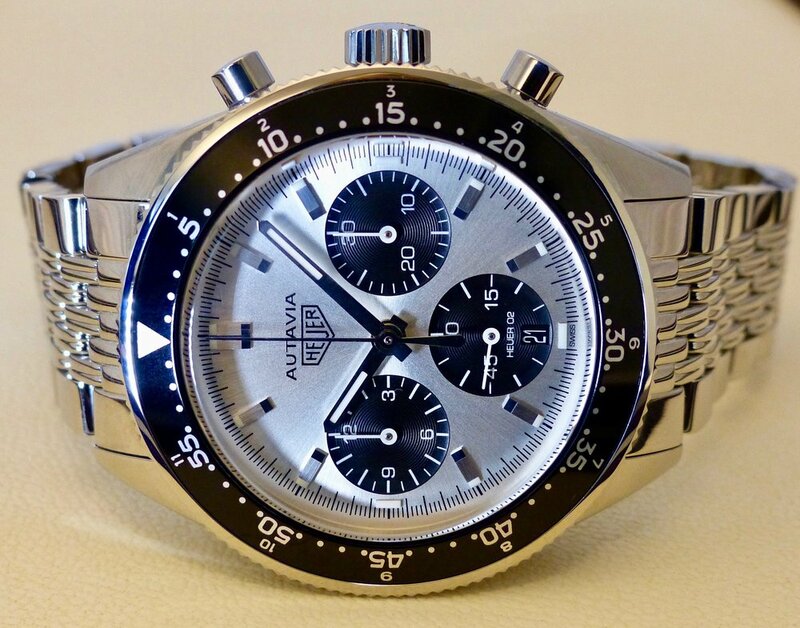 AUTAVIA is the contraction of AUTomobile and AVIAtion and they’re very famous amongst HEUER collectors/aficionados. 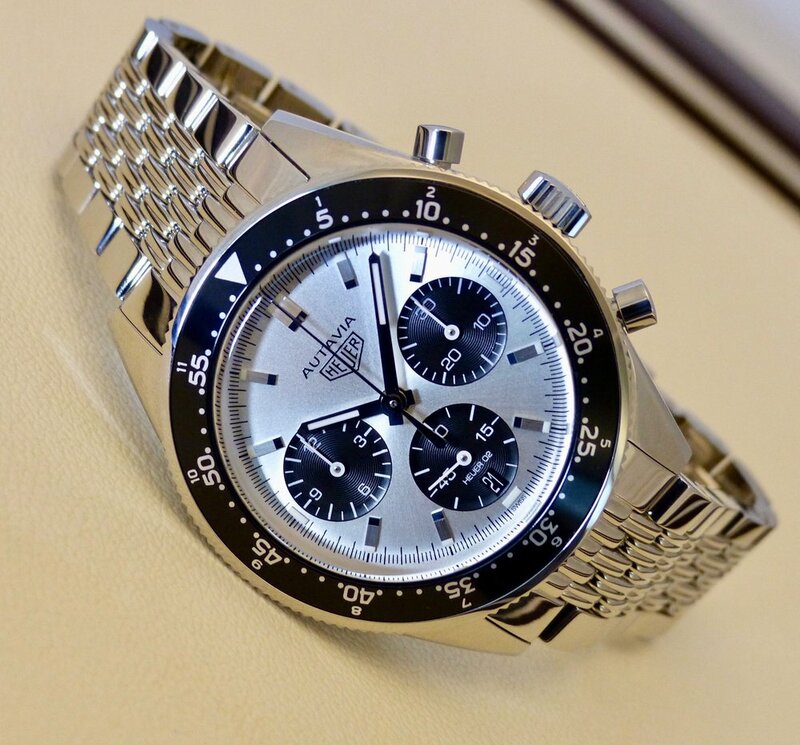 The self-winding chronograph « Battle » was huge in the late 60’s and HEUER had serious competitors such as the El Primero… In fact, when you own an Autavia, you own in some ways, a slice of HEUER’s history and there is clearly a market/demand for updated vintage pieces. "The story of the Autavia is a rich drama, full of twists and turns. It is one of my proudest achievements to have successfully converted chronographs into the Autavia wristwatch in 1962, so this collection has a special place in my heart: It was the very first timepiece that I designed, and today I am proud to present the last watch that I have created!" I had the privilege to talk several times with Mr. Jack Heuer and he is a lovely, humble and brilliant person. A role model in terms of Marketing and an Exceptional Entrepreneur. Happy anniversary Mr. Jack Heuer.